They came of age listening to Elvis Presley to a backdrop of the Vietnam War and assassinations of Martin Luther King Jr. and Robert F. Kennedy. It was Lafayette's first year as a city. 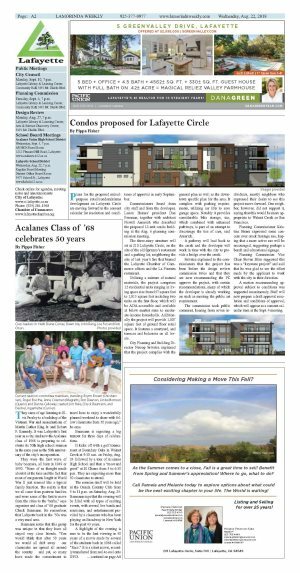 And now the Acalanes class of 1968 is preparing to celebrate its 50th high school reunion in the same year as the 50th anniversary of the city's incorporation. They were the first wave of baby boomers, all born in 1949 or 1950. "None of us thought much about it at the time and the fact that most of our parents fought in World War II just seemed like a typical family function. 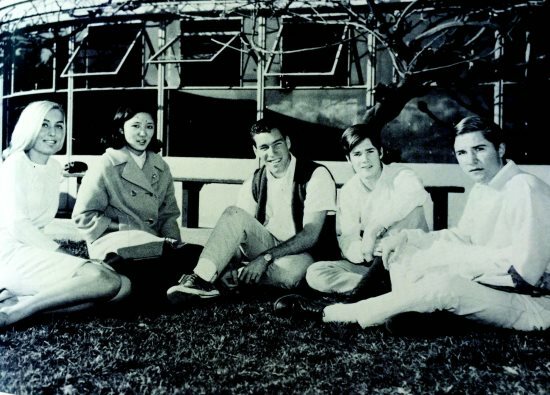 The reality is that we all came from postwar families and were some of the first to move from the cities to the 'burbs," says organizer and class of '68 graduate Chuck Baumann. He remembers that Lafayette back in the '50s was a very rural area. Baumann notes that this group was unique in that they have all stayed very close friends. "You would think that after 50 years we would all drift away - our classmates are spread all around the country - and yet, so many have made the commitment to travel here to enjoy a wonderfully planned weekend to share with fellow classmates from 50 years ago," he says. Baumann is expecting a big turnout for three days of celebrations. It kicks off with a golf tournament at Boundary Oaks in Walnut Creek at 9:30 a.m. on Friday, Aug. 24 followed by a tour of Acalanes High School and then a "meet and greet" at El Charro from 5 to 6:30 p.m. They are expecting more than 50 classmates to attend. 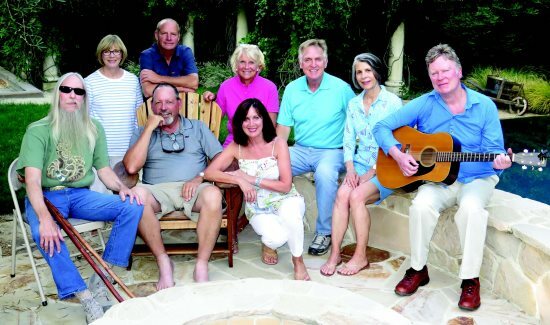 The reunion itself will be held at the Orinda Country Club from 5 to 11 p.m. on Saturday, Aug. 25. Baumann says that the evening will be filled with all types of exciting events, with several live bands and musicians, and entertainment provided by a classmate who has been playing on Broadway in New York for the past 43 years. A highlight of the evening is sure to be the first viewing in 50 years of a movie made by several of the students back in 1968 called "Race." It is a silent movie, recently transferred from reel-to-reel onto DVD. It is a testament to the strong bond this class has that over 155 members will be attending the reunion. Baumann says that of the original 325 graduates, 56 have passed away. "We will be also be paying tribute to our classmates that have passed and won't be there but will always be remembered," he says. On Sunday, Aug. 26 organizers have planned a picnic at the Lafayette Reservoir starting at 10:30 a.m. with Taco Party catering. Baumann says they are expecting over 60 people at the event, which will round out the weekend's festivities. All attendees were invited to write their bio for the past 50 years. Baumann notes that it has been interesting to read about the different paths their lives have taken. "Some have been teachers, professors, contractors, lawyers, doctors, business professionals, photographers, writers, many have raised families and now are grandparents, and some are retired. All have a very interesting story to tell - we are all sharing our stories together," says Baumann. Baumann remembers Lafayette back in the '50's and '60's as a wonderful time to grow up. "It has proven to be a strong foundation that has served all of us well." Any Acalanes class of '68 graduates interested in attending should contact chuck.baumann@gmail.com for more information. Current reunion committee members, standing: Brynn Brown (Christiansen), Roger Boothe, Anne Coleman (Magrath), Ron Dawson, Linda Momsen (Querio) and Denne Calloway; seated: Jim Hale, Chuck Baumann, and Deidre Lingenfelter (Currier).